I am Dr. Gary A. Martin. I operated a Wellness Clinic for almost 20 years. During this time, I developed many formulas to affect various body chemistry profiles. The products were so successful, that I eventually closed the clinic and took the formulas direct to the consumer. These formulas are the basis of many of the products that you see today. I semi-retired in 2000, but, being a workaholic, I am still active helping others to achieve wellness, naturally. 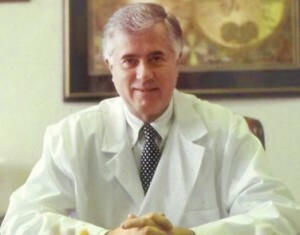 PLEASE NOTE: Dr. Gary A. Martin is a DN, DSc and PhD. He is not a medical doctor. He has retired from his busy wellness clinic practice of 20 years. He is still active with his Foundation (Biological Immunity Research Institute) and assisting Healthy Habits LLC in the proper formulation of their fine products. This information is presented for educational purposes only. It has not been evaluated by the FDA and is not meant to cure, treat, prevent disease, nor prescribe or to be used for diagnosis. Any observations or comments made by Dr. Martin are for general educational purposes only and simply represent Dr. Martin’s personal opinion regarding what he would do if he personally had the same expressed concerns. Please consult with your licensed Health Practitioner before following any of the protocols mentioned on this website. Please be aware that you accept all risk associated with using any of the protocols suggested by Dr. Martin.